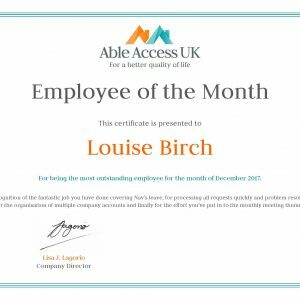 A huge congratulations to Louise Birch, our Employee of the Month for December 2017! 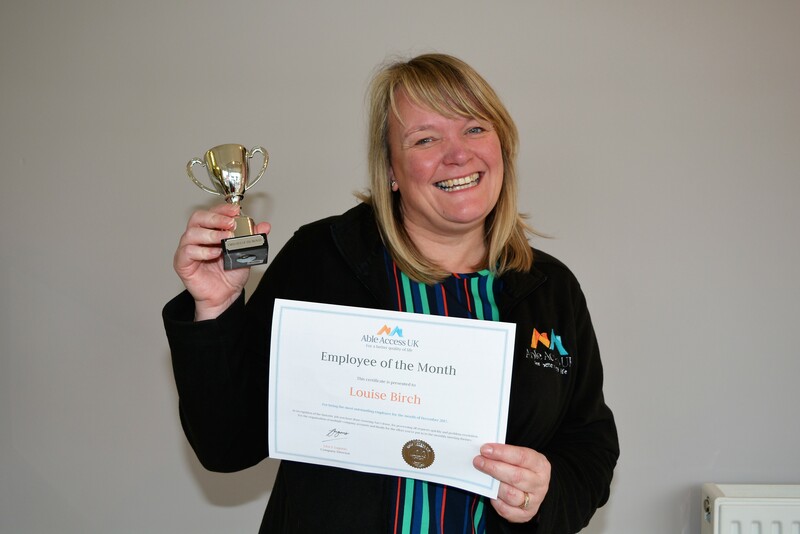 Louise Birch is the deserved winner of Employee of the Month for December, due to the hard work she has done covering another staff members role over their holiday. She kindly stepped out of her finance shoes temporarily and with the support of her co-workers provided our clients with the same high level of customer service that they have come to expect from our other staff members. Louise processed all requests quickly and resolved problems efficiently with the help of the other team members. 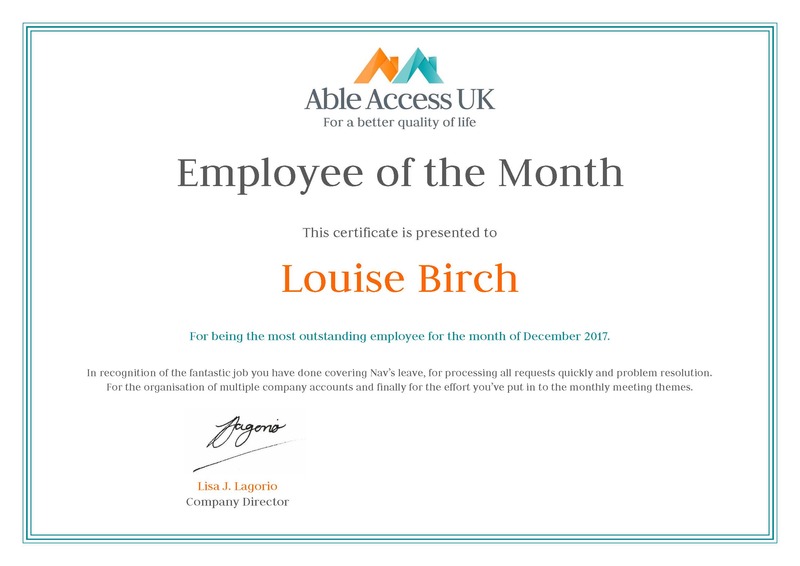 Louise also receives this high honour for her organisation of multiple company accounts and finally for her part in organising the fun monthly meeting themes. Louise is now happily settled back in her own office amongst her spreadsheets. 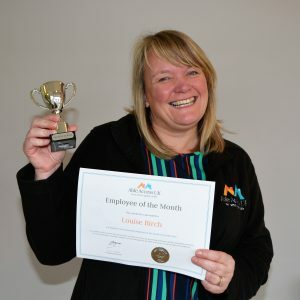 So, congratulations Louise, display the excellent certificate and clearly very expensive trophy proudly on your desk but you will have to return it to Lisa for the next meeting!